For those of you who think Risk and Monopoly take too long to play, what about a game that took three and a half years to play? The last game of the 2012 WebDiplomacy tournament clued up with a draw on February 12th, 2016. The game started on July 2, 2012! Diplomacy is a seven player war game based on negotiations between the seven Great Powers of Europe in the lead up to the First World War. Players sit around the boardroom table and through diplomacy, negotiation and strategy conquer Europe. It's complex, incorporating a wide variety of interpersonal and strategic factors players must consider. Finding seven players for any game can be a difficult, finding seven in the same town to play Diplomacy on a regular basis can be an even larger challenge. To get their fix enthusiasts began playing by mail. 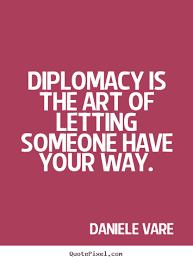 For thirty years postal Diplomacy ruled. It allowed players to submit their moves through the post. With the era of broadband, it has become more common to play using email, text messaging, Skype or on-line versions. I was introduced to the game by a teacher in junior high school. He told me that it was a favorite of Kennedy and Kissinger. I played by mail for years, crafting the perfect letter to fellow players in the hopes of convincing them to work with me. Games took months to complete. The game plays out in a way that is unpredictable, completely dependent on the decisions and strategies of the players have two turns a year beginning in the Spring of 1901. Each year players have spring and a fall turn, each of which is broken up into a number of phases - a diplomatic and an "order writing" phase. Everyone writes down their moves and puts them in a box. The moves are then read aloud, every piece on the board moving simultaneously. There are no dice. There is no luck. You have to manipulate, outguess and persuade. The board is broken up into 19 sea regions and 56 land regions with 34 supply centers. The first player to acquire 18 supply centers is declared the winner. Deploying your powers of persuasion to get other nations to do your bidding is crucial. The only question, when do you stab or betray an ally. You can negotiate all you want but in the end all that matters are the written orders for your fleets and armies. If there is no follow through from your allies, you are stabbed and forced to retreat or disband. This places a premium on figuring out who to trust and who to be wary of. There can be only one winner, eventually, you have to betray your allies - unless you go it alone and even than temporary alliances are necessary. I prefer the face-to-face interaction with players pulling you aside to explain to me how this one is manipulating and how an alliance with them would be beneficial. The game was invented in the 1950s by Allan Calhamer. The official Diplomacy rule book recommends setting aside about four hours to play. I have not played "the destroyer of friendships" in years but if you are a fan and have a day to set aside to play, let me know. I first played this through e-mail in 1983-84 (with people I didn't know). This is the best way to play this game, by updating your board as game results come in. However if you would like to end a relationship then play the game in person.